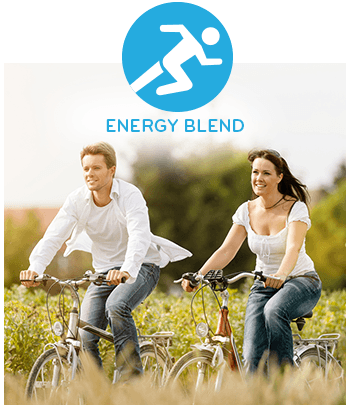 Energy Blend: Helps promotes alertness, enhance cognitive functions and increase energy metabolism. Everyone wants to wake up feeling refreshed, with enough energy for work and for play. In the morning, start with 1 capsule of the Energy Blend to be ready to tackle the day! The importance of the B vitamins for energy and for coping with stress is fully established. They are also needed for the brain, heart, circulation, immune response, and feelings of well-being. There are a variety of the B Vitamins that are needed for energy production, and these include B1, B2, B6, and B12, all incorporated in the Energy Blend. And of course, Ageless Wonders contains the recent improvements in B vitamins, called co-enzymated B vitamins, such as B6 as P-5-P, and B12 as methylcobalamin. These are forms that are easy for everyone to use. B12 is one of the biggest vitamin deficiencies in the United States, and B12 tends to decline with age. While it is considered one of the most important nutrients for energy production, deficiencies in this vital B vitamin can also cause memory loss. Also the Energy Blend contains 350 mg of Magnesium. They wisely chose Magnesium Malate, one of the most absorbable types. Magnesium is used in over 300 functions in the body, including many involving energy. It is also important for normal heart beat rhythm, cramping, headaches, normal sleep patterns, bone health, and stress management. Also added the herb Moringa . Loaded with naturally occurring Vitamin C, B vitamins, and minerals, Moringa is known to be supportive for energy, metabolism, mood, memory, and digestion. Lastly, Guarana seed powder which contains some naturally occurring caffeine, providing a gentle lift without the heated hydrocarbons of coffee. 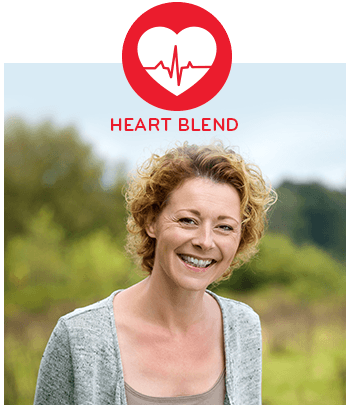 The Heart Blend: Contains CoQ10 and CoQ10 is needed by every single cell in the areas of the body that use more energy, specifically the heart and the Brain. CoQ10 is like a high speed shuttle that moves at a rate 500- 1,000 times a second back and forth across the cell membranes and its feeding in oxygen and nutrients and essential fatty acids and pulling out waste products, so Coq10 is incredibly important. Next in the Heart Blend, Curcumin is the active component of the herb Turmeric. It has anti-inflammatory and antioxidant properties. It is a cell and tissue protector, and is well researched as supportive for the heart, brain, joints, and inflammation management in the body. Curcumin is now regarded as a top antioxidant, protecting every cell against free radicals and chemical exposure. The minerals Zinc and Selenium are also included because both Zinc and Selenium deficiencies are associated with an increased risk of heart disease. Selenium functions as an antioxidant mineral. Zinc is required to manufacture many hormones; Zinc is involved in over 200 enzyme reactions, and plays a part in blood sugar regulation. The Mind Blend in Ageless Wonders Essentials Formula gives profound support to the aspects of brain health that we need in today’s fast paced world; protecting the cells, enhancing memory, and coping with stress. The Mind Blend contains the powerful antioxidant L-Glutathione, which helps to protect against free radical damage and enhance memory. It is the most potent antioxidant made by the body, and as we get older, overall levels decline. Glutathione is used to neutralize toxins and clear them from the body. Supplementing with L-Glutathione can boost our defenses in every cell, including the brain. Next up in the formula, the herbs Ashwagandha and Rhodiola are renowned for their ability to promote calm, clear thought. They can help us cope with stress and get a better night’s sleep. They provide powerful support to the adrenal glands, and the adrenal glands are responsible for feelings of wellbeing, energy, stress management, sleep, and hormone production. Also included in the Mind Blend is Evening Primrose Oil. This is rich in Gamma Linoleic Acid, one of the essential fatty acids that have been shown to have anti-inflammatory effects and support proper brain function. The Mind Blend formula will go a long way to keeping your brain sharp, focused, and able to cope! 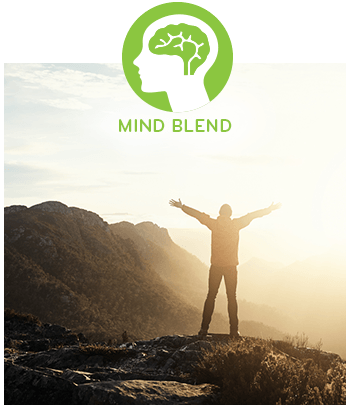 The Mind Blend will help retain our mental and cognitive abilities as sharp as possible for as long as possible, which we all desperately need.